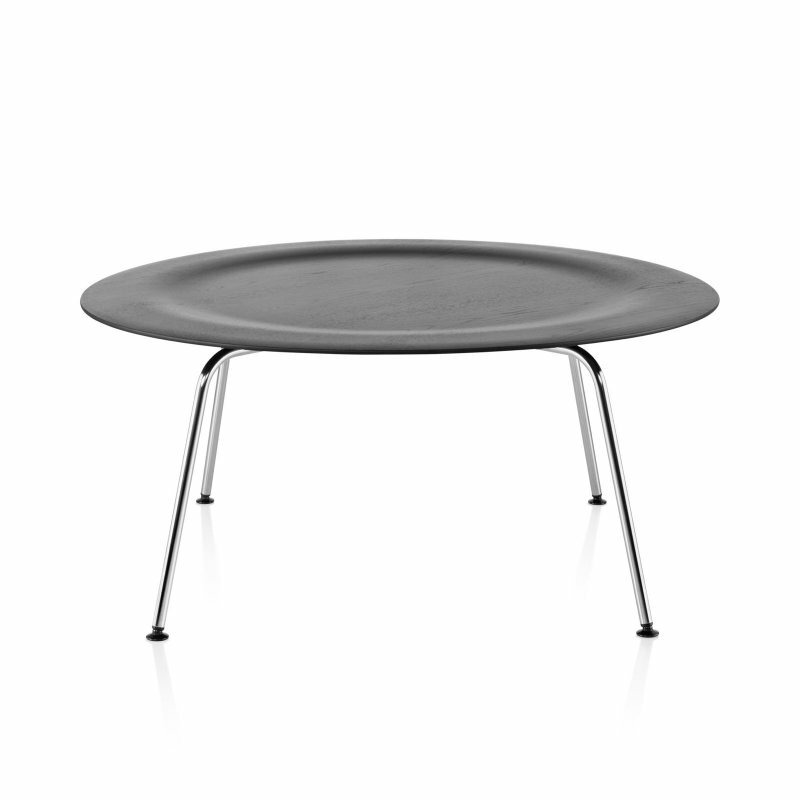 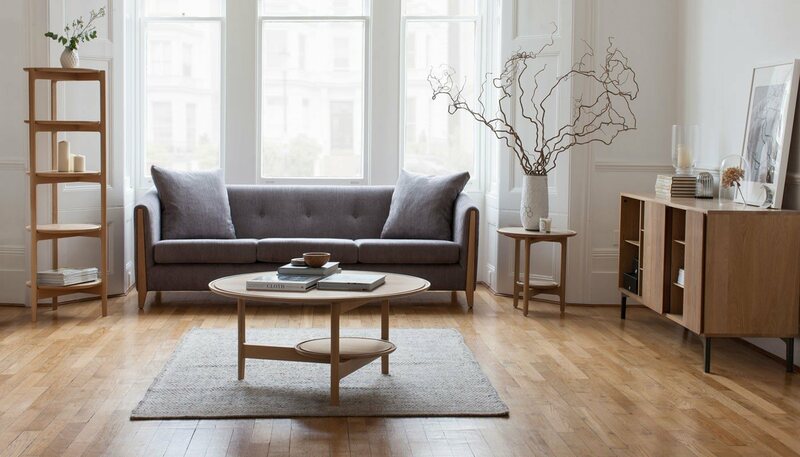 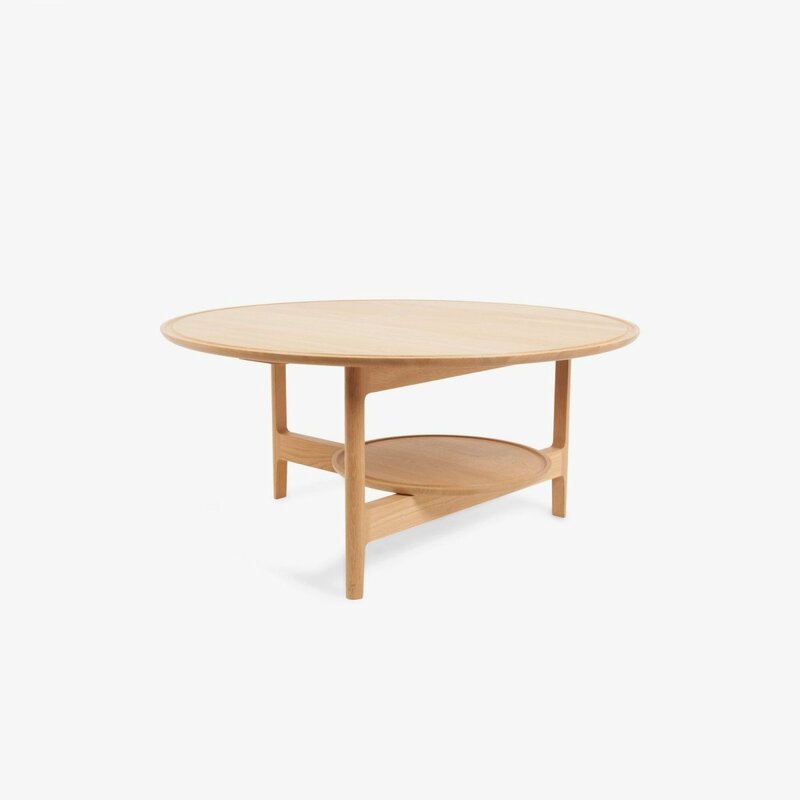 Svelto Coffee Table is a minimal and timeless round wooden coffee table designed by ercol. 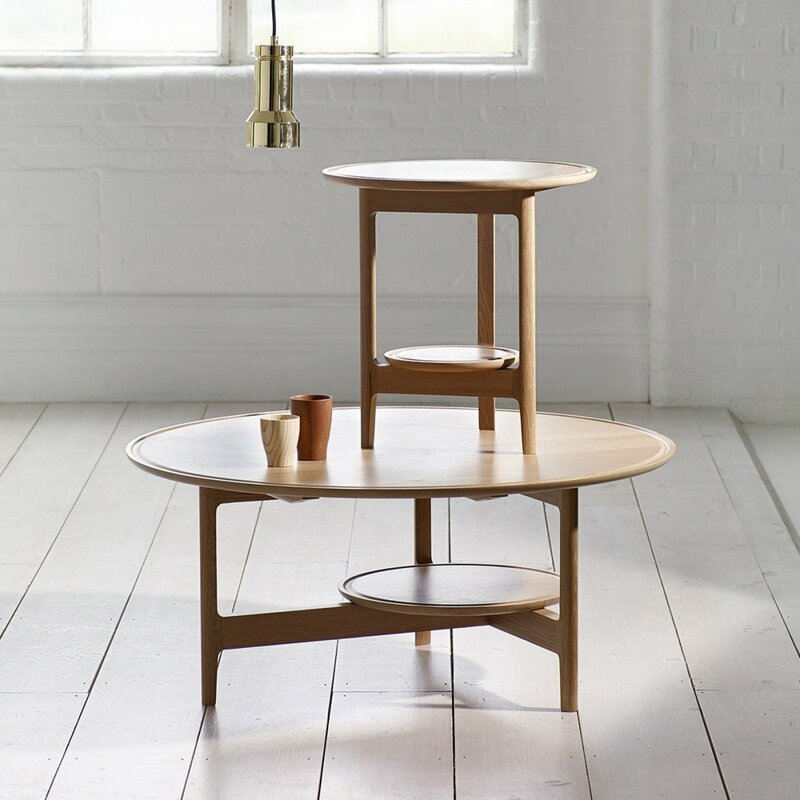 This oak coffee table features a distinctive arrangement of dual circular surfaces — a large circular top and a smaller offset under-shelf. 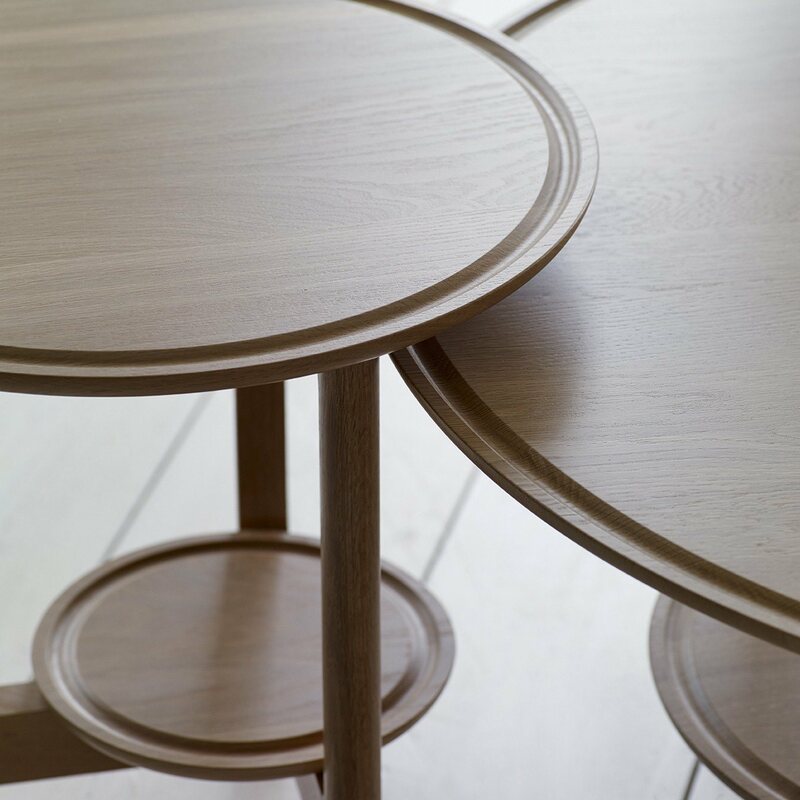 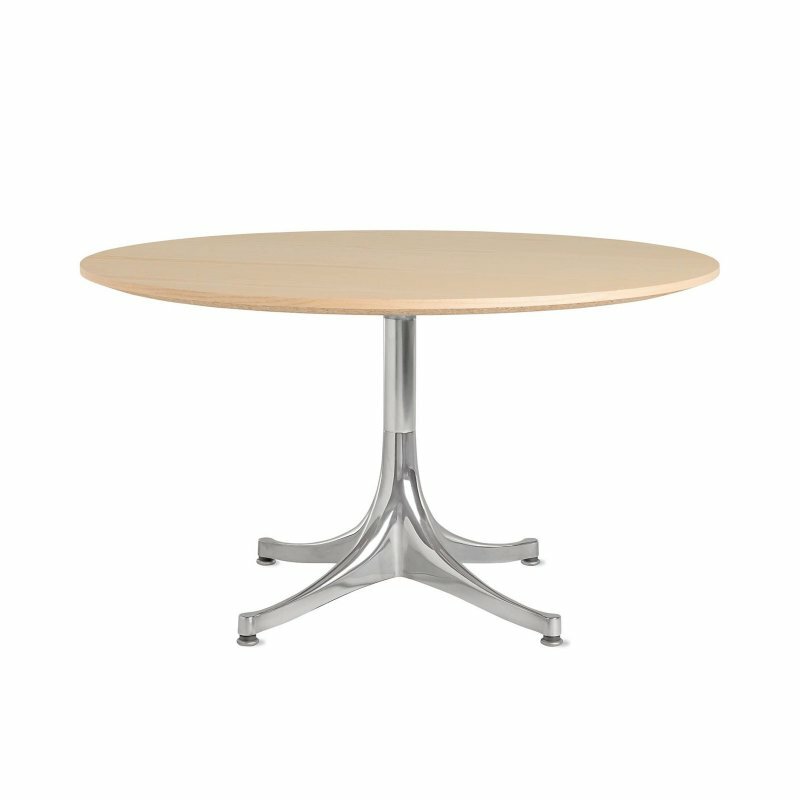 Each has a groove running round the circumference and delineating the edge of the table in a lovely design feature. 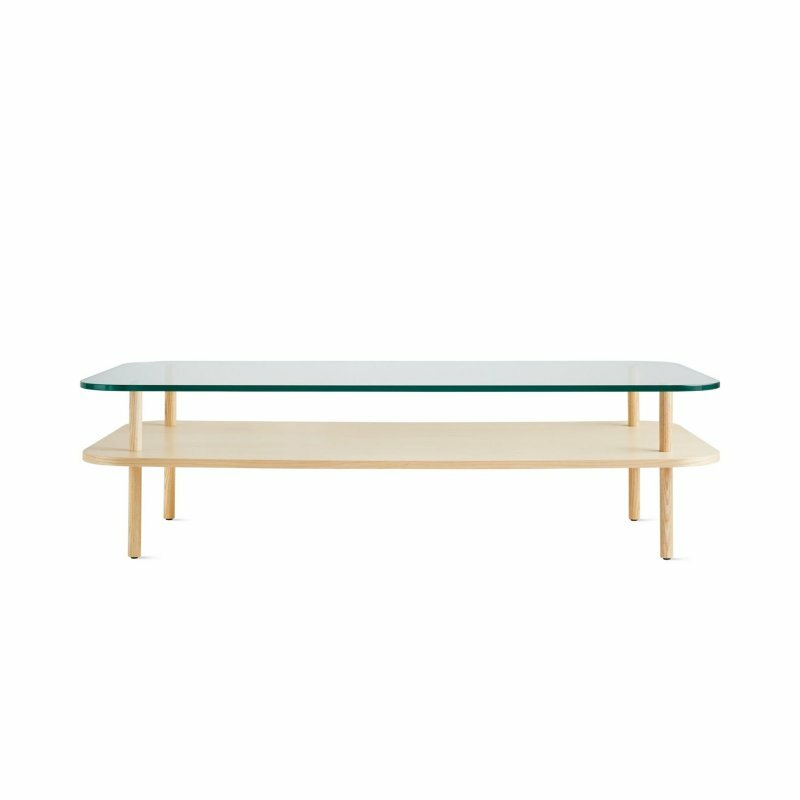 The coffee table top has a diameter of 950mm whilst the bottom shelf has a diameter of 440mm. 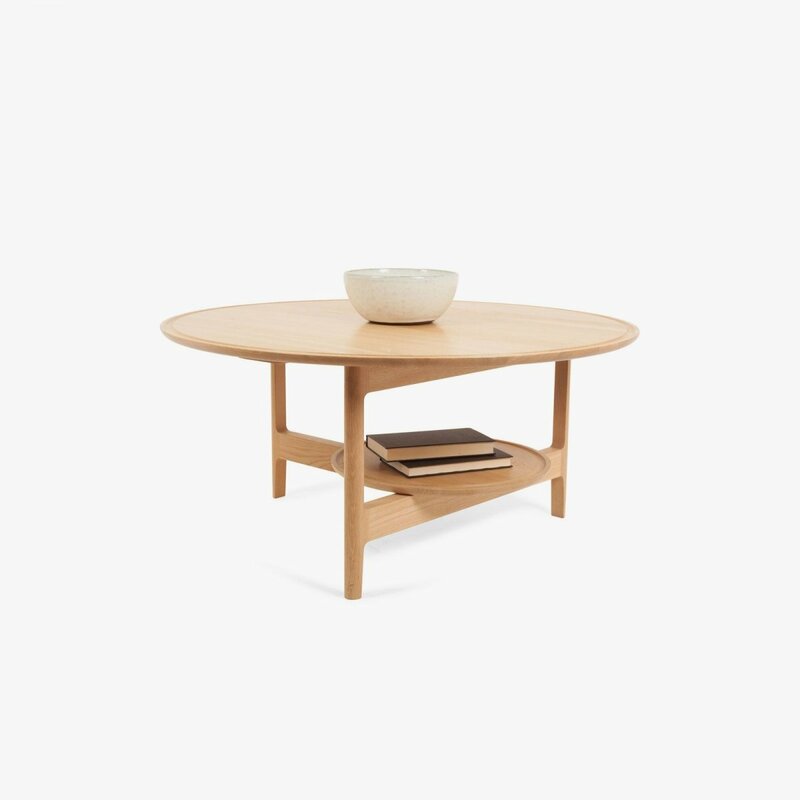 The table is finished in a dead matt (DM) finish to both protect the oak furniture and show off its natural beauty.